Oil Rubbed Bronze 1 Light 11in. Wall Lantern from the Dark Sky Barrington Collection | Fountain City Art Ctr. 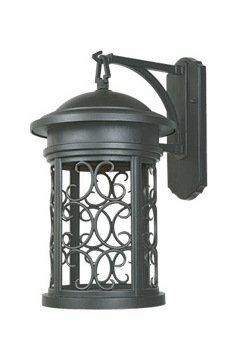 This One Light Wall Lantern is part of the Ellington-ds Collection and has an Oil Rubbed Bronze Finish. Finish: Oil Rubbed Bronze, Style: Traditional/Classic. Type of Bulb: Medium, Wattage: 100. Lenght: 14.25in, Width: 11.00in, Height: 20.00in.